One of the consequences of incorporation is the separation of an individual from the legal liabilities of a company. The veil of incorporation ensures that a company is a separate legal entity from its directors, employees and shareholders, thus protecting their personal assets from lawsuits. Such protection also helps a company attract investment. The law recognises that a company is a separate legal entity distinct from its directors and shareholders. Therefore, the courts usually do not look behind the veil of incorporation to inquire why the company was formed or who really controls it. However, there are a number of circumstances where the courts are prepared to depart from this principle. This is referred to as ‘lifting the veil of incorporation’. Such lifting of the veil of incorporation may occur either by virtue of statutory provision. The occurs will lift the veil of incorporation if the veil has been misused to protect the owners or management of a company such that creditors and third parties are disadvantaged. 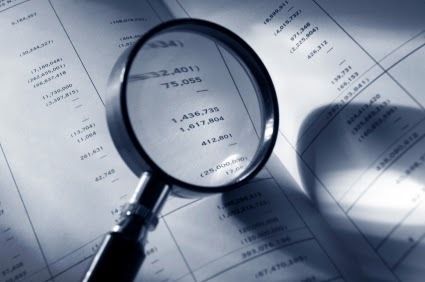 In such instances, the veil of incorporation must be lifted to identify the person(s) responsible and make them liable. Section 36, CA 1965: If the number of members of a company fall below two and the company carries on business for more than six months, that member is personally liable for the company’s debts incurred after the six months. Section 67(1) and 67(3), CA 1965: A company is prohibited from giving financial assistance to anyone to buy shares in the company itself. If it does so, the officers are liable. Section 121(2)(c), CA 1965: An officer of a company who signs or authorises to be signed on the company’s behalf any bill of exchange, cheque or promissory note where the company’s name is not properly or legibly written thereon, will be personally liable for the amount if unpaid by the company.If there is improper use of a company’s name, the officer who signs so, is personally liable unless the company is willing to be bound: s 121(2), CA 1965. This would include cases where the officer did not use words such as ‘Sdn Bhd’ or ‘Bhd’. Section 169, CA 1965: Directors of a holding company must prepare consolidated accounts for the group of companies. Section 304(1), CA 1965: Any person who is involved in a company’s fraudulent trading is liable for the company’s debts. Since the provision uses the term ‘any person’, it can include members, officers as well a company since a company is a person in the eyes of the law. Generally, it is not easy to prove fraud. Section 304(2) and 303(3), CA 1950: An officer who knowingly contracts a debt with no reasonable of expectation of the company being able to pay the debt is guilty of an offence, and a conviction may be the basis for a court to declare that the officer concerned shall be personally liable to pay that debt. As the element of fraud is not required, this is much easier to prove. Section 365(2)(b), CA 1965: A director or manager is liable if dividends are paid although there were no available profits. Thus, dividends can only be declared if there are profits. Section 140(1), Income Tax Act 1967: The Director General of Inland Revenue can revoke and do whatever he thinks fit to counteract transactions which have the effect of avoiding for evading tax: SBP SDN BHD v DIRECTOR GENERAL OF INLAND REVENUE (1988) MSTC 243. The court has lifted the corporate veil if a company is used to avoid legal duty. The defendant was an employee in the plaintiff company. Under his employment contract, he was prohibited from soliciting the plaintiff Company’s customers if he left his employment. Subsequently, he left the plaintiff Company and formed a company. His wife and another person were the directors and shareholders. He solicited the plaintiff company’s customers. The plaintiff brought an action against the defendant. The defendant argued that the new company, which solicited customers from the plaintiff company are separate. Hence, he is not liable for the actions of the company. The company could solicit the customers because the company is not a party to the contract of employment and therefore not bound by the contract. The restriction is only on him. The court lifted the corporate veil and found that the defendant controlled and managed the company. Hence, the formation of the company was a sham. The defendant was trying to avoid his legal obligations. An order of injunction was made against the defendant and the new company. The veil can also been lifted if a company is used to avoid contractual duty. Lipman agreed to sell his land to Jones but later changed his mind and endeavoured to put the land out of the reach of an order of specific performance by conveying it to a company which he had formed for this express purpose. He effectively owned and controlled this said company. In fact, Lipman was also willing to pay damages to Jones but was not prepared to transfer the land to Jones.  the holding company must be in effectual and constant control. In this case, the court lifted the corporate veil to enable a subsidiary company operating business on land owned by the holding company to claim compensation on the ground of agency. In Firestone Tyre and Rubber Co Ltd v Lewellin (1957), agency was the trigger for lifting the veil where a British company manufacturing types for an American holding company was held to be its agent. It is quite common for businesses today to be carried out as groups of companies. This is done mainly to share risks and take advantage of economies of scale. As a general rule, every company within a group of companies is separate . The plaintiff, which was a company incorporated in Malaysia, was a subsidiary of the defendant company incorporated in Singapore. Four senior officers of the holding company were the directors of the subsidiary company. The auditors of the subsidiary company stated that the company might not be able to meet claims amounting to $2,001,725. At the Board of Directors’ meeting, the four directors said that the holding company would guarantee any shortcomings faced by the subsidiary company. Subsequently the subsidiary company claimed the amount from the holding company on the basis of the guarantee given. However, the holding company denied liability on the grounds that every company is a separate entity of its own. The court found that the holding company is a separate entity from its subsidiary company. The four officers who sat in the board meeting, sat as directors and agents of the subsidiary company and not to the holding company. A company cannot be made liable or responsible for the debts or actions of another company within the group. Thus, the debts of the company belong to itself. HOTEL JAYA PURI BHD v NATIONAL UNION OF HOTEL, BAR & RESTAURANT WORKERS  1 MLJ 109. The plaintiff in this case was the holding company and a restaurant within its premises was a subsidiary company. The workers in the restaurant were retrenched and the issue before the court was whether the holding company was liable to pay. The court held that the holding company had to pay the compensation. This was because the hotel and the restaurant were inter-dependent – there was functional integrity and unity of establishment between the hotel and the restaurant; and a number of senior officers were common to both the hotel and the restaurant. Therefore the hotel is the employer of the employees. In recent times, the Malaysian courts have shown a greater willingness to lift the veil of incorporation where justice requires it. In some cases, the courts have found that a particular legal rule should be interpreted as requiring them to lift the veil of incorporation. For instance, in times of war in order to determine whether a company is controlled by enemy aliens. In Daimler Co Ltd v Continental Tyre and Rubber Co (Great Britain) Ltd (1916) the court lifted the veil of incorporation to look at the nationality of the persons in effective control of the company. company incorporation in Singapore is one of the best decisions of life. Thanks for this info.